Has a dual license in Traditional Chinese and Western medicine. 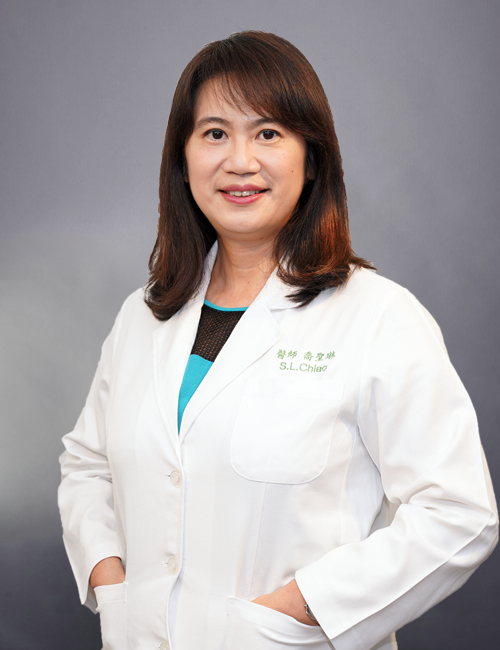 An expert in Chinese medicine, endocrine, immune, and physical conditioning. Author of “Chinese and Western Medicine Integrated Cancer Treatment Encyclopedia”. Strengthening the patient’s physical condition: Many cancer patients often postpone the treatment time due to the decline in physical strength caused by cancer treatment. Dr. Chiao’s Traditional Chinese Medicine therapy is based on the patient’s Western treatment process and medication status, in combination with the patient’s pulse and symptoms, to supplement Chinese medicine to help the patients improve their physical strength so that the patients can continue to face the treatment course within better condition. Reducing the side effects of cancer treatment: Cancer treatments often have various side effects caused by surgery, chemotherapy, and radiation therapy. With Chinese medicine examination and assistance, side effects can be reduced and the patients’ life quality can be improved. Improve patient immunity: eliminating cancer cells by Western medicine is only a “treatment”, improving immunity is the true “cure” to the disease. Based on each individual’s physical condition after the disease, traditional Chinese medicine adjuvant therapy helps to regulate immunity. Through the long-term consultation by Dr. Chiao, the customized prescription can be adjusted at any time to gradually adjust the patients’ constitution to the best condition. As a result, this method can effectively improve the patients’ immunity, reduce the chance of metastasis or recurrence, and therefore, give patients healthy lives. “Holistic Therapy”: Cancer treatment is only a palliative remedy, not a cure. If the risk factors of cancer have not yet been completely eliminated, patients still face the possibility of having cancer or recurrence. This therapy method aims to identify all of the patient’s risk factors of cancer in order to make improvements and radically reduce the rate of cancer recurrence.